Think teeth whitening treatment is a long process? With Zoom QuickPro teeth whitening treatment, your cosmetic dentist in Hazlet can help you achieve a brighter smile in minutes. This video demonstrates just how easy Zoom QuickPro is. Many people find it difficult to schedule teeth whitening, as it once required up to an hour of treatment. 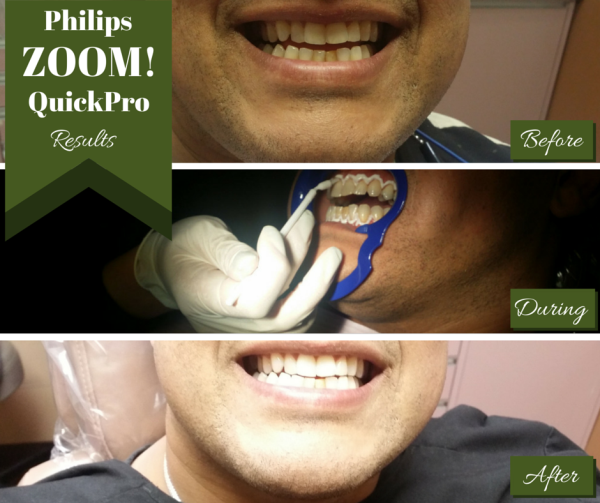 If you too want a brighter smile but believe that you don’t have time for it, consider Zoom QuickPro. All it takes is five minutes for your dentist to apply the solution and sealant that together remove discoloration. You can then wipe or brush your teeth 30 minutes later from the comfort of your home and enjoy your newly brightened smile. Glenwood Premier Dental offers Zoom whitening at our Hazlet office. To schedule an appointment with our Dr. Wassef for treatment, call (732) 264-4477.